I was so busy before Christmas that I didn't have time to do a few of the posts that I wanted to. I am going to catch up with my posts before the New Year is here. Sadly, the large department stores in Victoria don't do Christmas windows any more. They are all in shopping centres and the large display windows are not there. The Hudson's Bay Company has cut right back to just presenting the merchandise to the customer. The escalator well has about four large windows in it that in years past had some beautiful displays but this year there was a printed backdrop of paneled walls with two manikins standing in front of it. Sears was a bit better but not much. Some of the more interesting Christmas windows are found in the independent stores. This very simple but interesting window is at Fan Tan Gallery in Chinatown. Sorry for the reflection in this and some of the other photographs, it does make for an interesting image though. This is not exactly a window display but I liked it so much I had to include it. 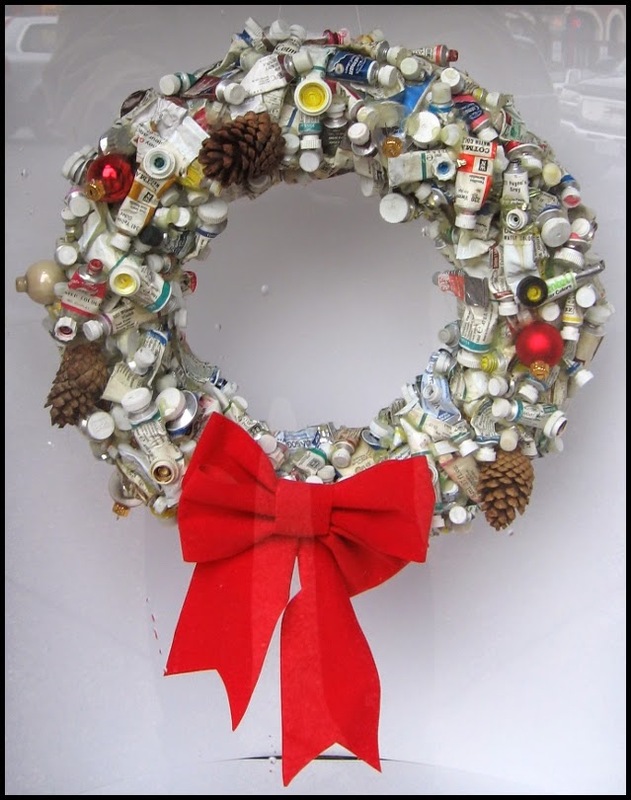 Opus Art Supplies have a series of very small windows and this wreath made from used paint tubes and the odd Christmas bauble was the only item in one of the small windows. I love it! I must get a lens that gets rid of the reflections. Lets call this an "art" shot. 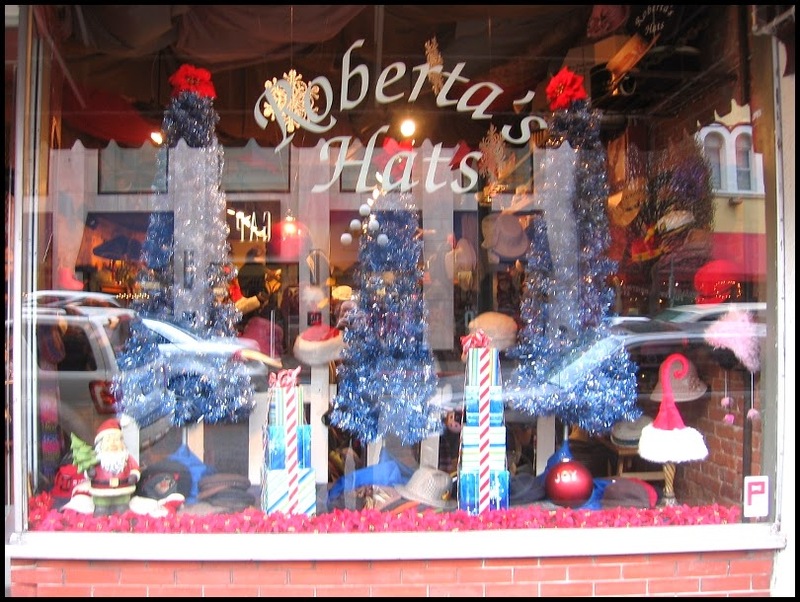 Roberta's Hats has this very festive window. 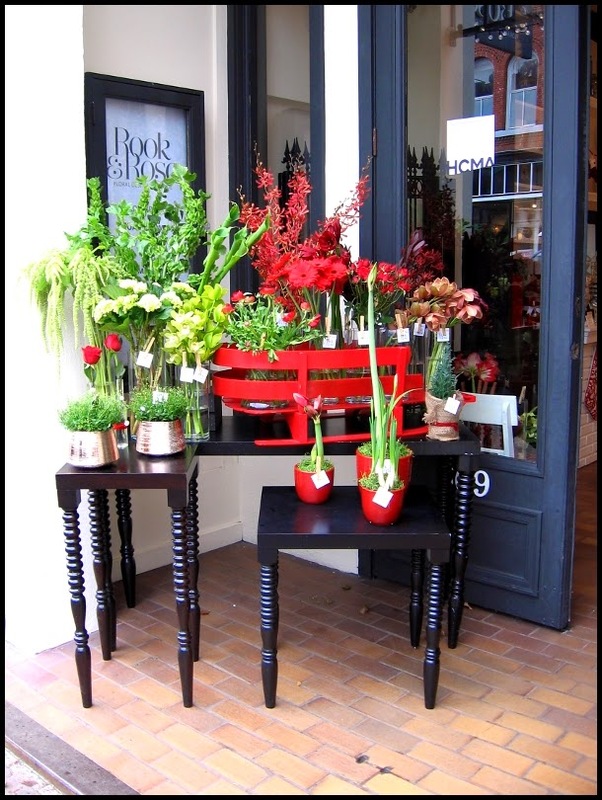 I had forgotten about the Rook and Rose florist shop. It is tucked into a very small foyer with stairs to the first floor on the right hand side of the shop. Despite the very small size, their presentation, flowers, and accessories for sale are top notch. 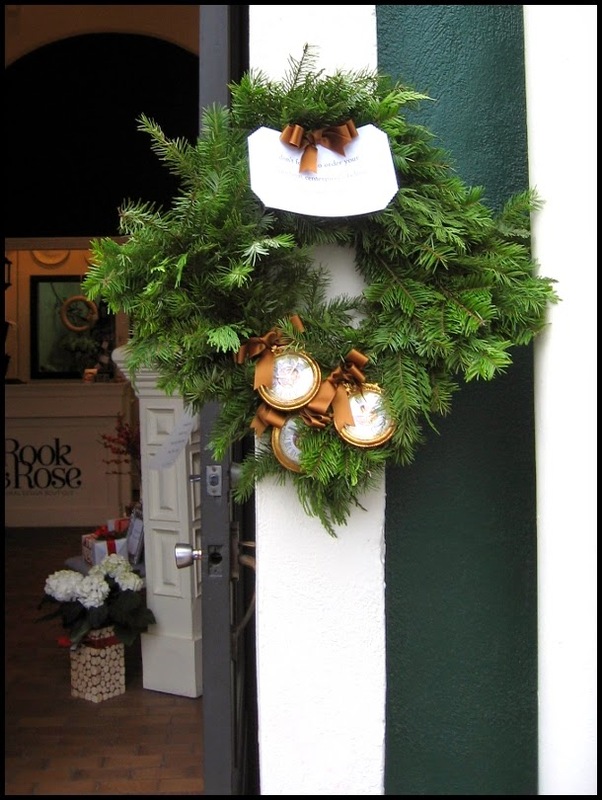 This evergreen wreath with three clocks hanging from the bottom of the wreath is on the other side of the entrance to the shop. A friend of mine's wife and daughter opened a women's accessory boutique called Violette. He designed the interior for the store and now does the window displays. He said his daughter has the idea and he puts it together. No matter, his display work is excellent. These two window displays are for a vintage clothing store called The Patch. 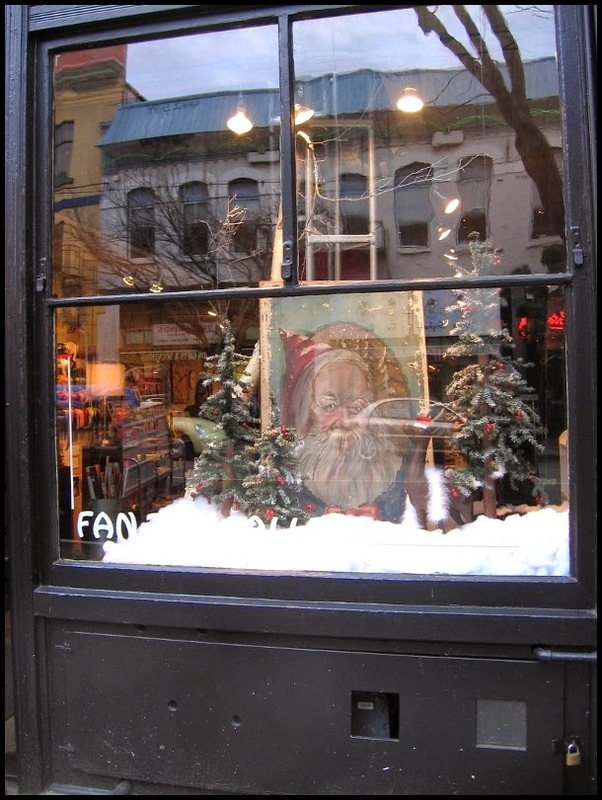 The window with the red trim is on the right side of the store entrance while the black trimmed window is on the left. 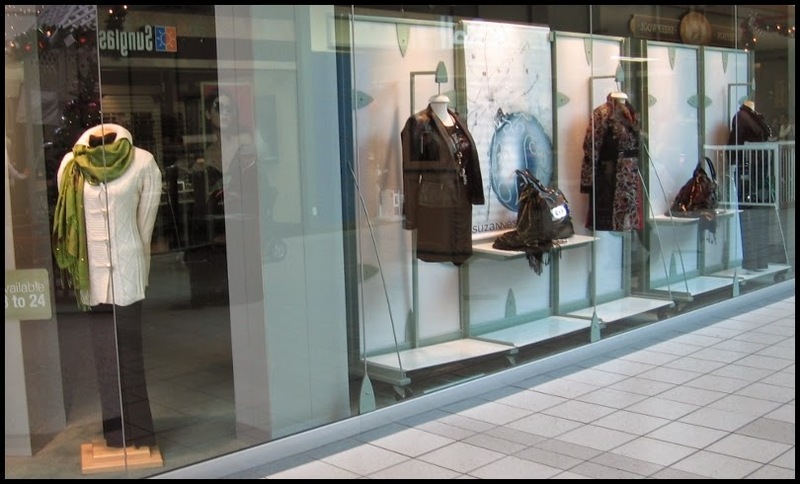 There is very little depth in the windows that look directly into the store but they do a great job with what they have. 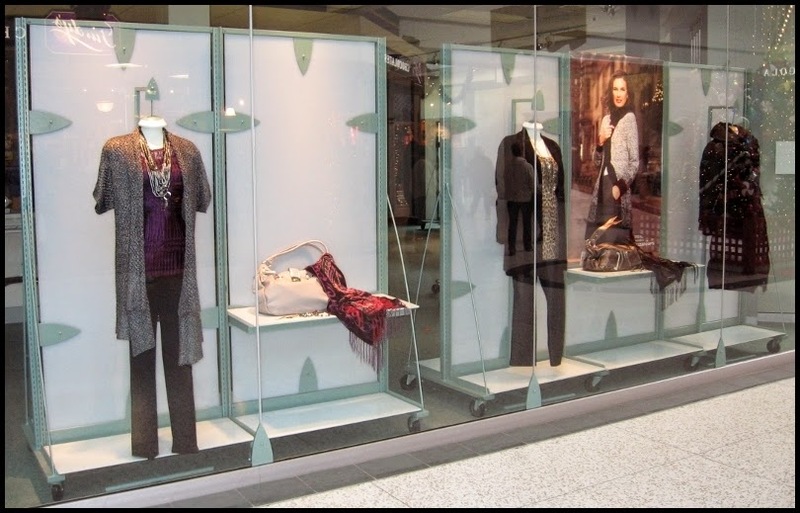 It is very simple and straight forward with the holiday colour coming from the choice of clothing used in the display. 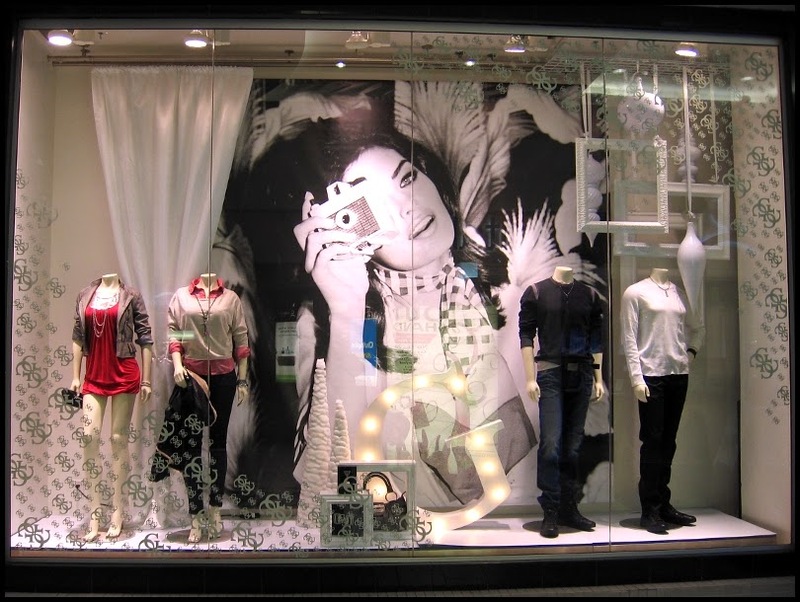 This large dramatic window display is for the guess store in The Bay Centre. There were other stores that unfortunately I did not get a chance to photograph but there is always next year. The blog post "Hello! I am back in the land of Blog." 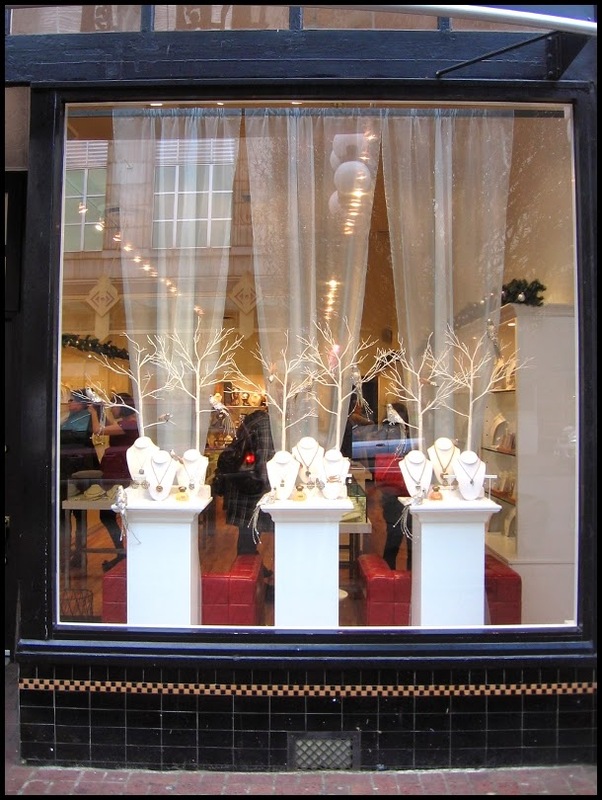 showed close-up views of the windows that I did for Suzanne's. The mall was so busy that I couldn't take a long shot of them to put them into context. Here are both sides of the store. Oh, that white cage around last manikin in the photo above is a reflection! Please remember that these windows are "damage control windows", they are there so that a vast empty store is not the focal point in centre court. Suzanne's, the store that the merchandise came from, were very pleased with them. 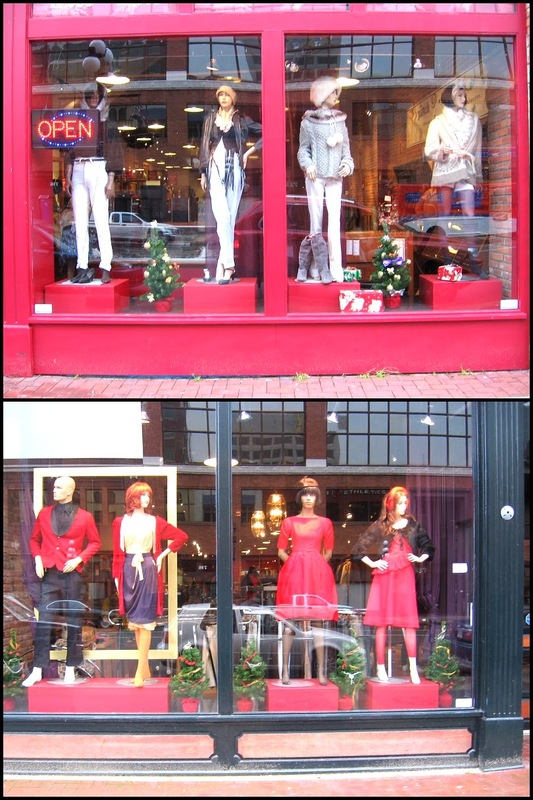 The clothing in the windows sold extremely well. Have a wonderful and relaxing week. 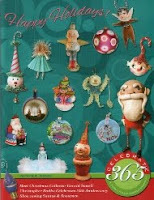 How fun to stroll around and look at window displays during the Holidays! And Thank You for sharing them with us! I think my Fav was the window from the Hat Shoppe. And the wreath was so cool. It could be left up year round....just change the color of the bow. Hello! I am back in the land of Blog. The images and writing on this blog belong to me unless I have given credit to the original creator. If you would like to use any part of my blog please credit me - Len Bentham/Happy Holidays with a link back to this blog. Let me know if you use anything from my blog, I'd love to read it! I can be contacted at lenbenny@shaw.ca. Thanks a lot, Len Bentham.